This article is cross posted on ABC Splash website. 2013 is the sixth year that I have used educational blogging in my classroom. When I first began my program, I just tried to squeeze blogging into my already busy curriculum. This might have been a few minutes during transition times or while the students ate their lunches. I soon realised this was not the best way to unleash the full benefits of blogging. The lack of momentum led to low student interest and lack of opportunities for explicit teaching and learning. When I first began blogging I had a computer ratio of 1:6 in my classroom. Over time, my students have gained access to more devices and this year we implemented a 1:1 netbook program. Depending on the resources available and our current learning focus, I have used whole class, small group and rotation structures to make blogging work in my classroom. The concept of literacy education has changed as technology has evolved. It is no longer enough to teach students how to read books and write on paper. This won’t adequately prepare them for their 21st century lives. Our students need to become transliterate and develop the ability to read, write and interact across a range of platforms, tools and media, both traditional and digital. Blogging is an authentic way to teach both traditional reading, writing, speaking and listening, as well as multi-modal 21st century skills. My approach involves spending 10 – 20 minutes of my daily literacy block on whole class blogging. This is a chance to read our latest posts and comments, and take a look at what our blogging buddies are learning. Our discussions are directed depending on our current reading or writing focus. Through blogging, we have been able to introduce or reinforce a wide range of literacy conventions in an authentic, ongoing context. Like many primary classrooms, reading rotations are part of our literacy block. Every week, one of the activities students complete is blogging on their computers. Their task is to read a certain post on our class blog, a student blog or one of our blogging buddies’ blogs. Students then need to respond with a quality comment, practising their literacy goal. This year I have been using student blogs as digital portfolios. This approach doesn’t need to be an “add on”. It can replace other more traditional methods of reflective writing, journalling or completing work in exercise books. We’re currently wasting a lot of time by giving unreal writing tasks in our classrooms….You and I don’t engage in meaningless writing exercises in real life—we’re far too busy doing the real thing. Blogging for the sake of it or trying to blog on top of the regular classroom curriculum just isn’t going to work. Most teachers are affected by a crowded curriculum. Find ways to embed blogging into what you are already doing to meet your students’ learning needs and expand their horizons. 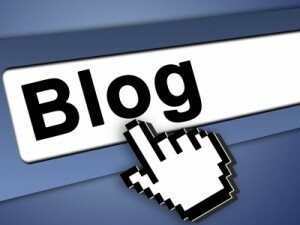 Looking at integrating blogging into your literacy curriculum is a great place to start. Dear Mrs. Morris – Thank you so much for your informative and insightful post on blogging. I am new to the idea of incorporating blogging into the classroom, and I feel that I gained a great deal of information on how to get started. I am left wondering about a few things, though. First, how do you set up a blog which can be viewed by students, parents, and other classes within the building and perhaps throughout the world? I understand how to create a blog and determine who is able to post, but how do you make sure that the blog is safe in that it can be viewed by only certain people. Also, you mentioned that when you do blogging as a center, you ask students to read entries made by “buddy classes” and comment on those posts. How do you go about finding a “buddy class” for your students? Do you assign students a partner from the other class kind of like pen pals? Or is the entire class able to comment and respond to any entry made by a member of the buddy class? I am a student at University of South Alabama. I really enjoyed reading “Blogging and the Literacy Curriculum.” I am glad that your students were able to get netbooks. In the 21st century technology is ruling the world. I love the idea of having students to create a portfolio instead of writing in journals. I am a student at the University of South Alabama. I love this post. I am glad blogging has been working very well for you. I really enjoy writing on my own blog. I look forward to incorporate this into my classroom. Just getting started on trying to incorporate blogging into my literacy curriculum. You have a lot of great ideas. I share a cart of 30 Chromebooks with two other classes which makes it hard to use the devices on a daily basis. Trying to figure out ways to make blogging a part of our daily schedule. That’s a great start having the Chromebooks to share. I hope you find ways to incorporate blogging that work for you. It’s certainly worth it.